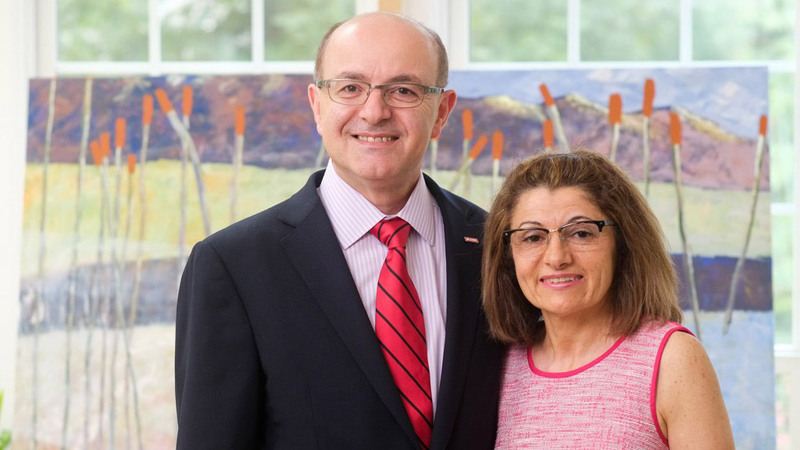 NC State donors Dr. Moise and Vera Khayrallah have funded the first endowed center at NC State and the first center on the Lebanese diaspora outside Lebanon. On October 14, 2014, Chancellor Randy Woodson announced an $8.1 million gift from Dr. Moise Khayrallah and Vera Khayrallah, to the College of Humanities and Social Sciences to establish the Moise A. Khayrallah Center for Lebanese Diaspora Studies at NC State University. This is the largest single gift in the history of the college, establishing the first endowed center on campus and the first center on the Lebanese diaspora in the world outside of Lebanon. The gift will firmly establish NC State as the premier research and outreach center for the creation and dissemination of information on the Lebanese diaspora. Dr. Moise Khayrallah is a friend of NC State and a serial biotech entrepreneur who has founded several drug-development companies. An alumnus of American University of Beirut and UNC-Chapel Hill, where he studied psychology, Dr. Khayrallah was named a Top Entrepreneur by Business Leader magazine in 2008 and serves as a board member of the Council for Entrepreneurial Development. Dr. Khayrallah and his wife of 30 years, Vera Khayrallah—a licensed social worker with a master of social work degree from UNC-Chapel Hill—immigrated to North Carolina from Lebanon in 1983. The Khayrallahs established the Khayrallah Program for Lebanese-American Studies at NC State in 2010 to provide funding to uncover the history of Lebanese-Americans in North Carolina, which dates back more than 100 years. Dr. Khayrallah hopes the legacy of the Moise A. Khayrallah Center for Lebanese Diaspora Studies will reach far beyond the Lebanese community. “The legacy will become not just really about this particular community and this particular program, but really a seed for other communities and other programs that tell the story of how great this place is. How great the state is, how great the United States is, because of what this community and so many others like it have made of it,” he said. Dr. Moise and Vera Khayrallah are members of the William Joseph Peele Lifetime Giving Society and the Chancellor’s Circle.